HBO has sent thousands of warnings to Internet subscribers whose connections were used to share leaked Game of Thrones episodes. While there are no legal strings attached for the affected subscribers, HBO hopes that some will think twice before downloading future episodes. Last week’s pre-release leak of four Game of Thrones episodes is one of the most prominent piracy cases in TV history. Through its anti-piracy partner IP-Echelon, HBO instructs Internet providers to relay the alerts to the account holder associated with the infringing IP-address. As is always the case with DMCA notices, HBO doesn’t know the identity of the alleged pirates, so there are no legal strings attached. 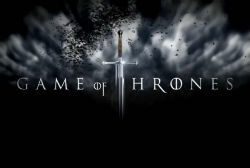 Nonetheless, HBO hopes that the warnings will deter some from downloading future episodes. And indeed, some users may panic when they see that their downloads were flagged. Not all warnings are effective though. Some DMCA notices were directed at VPN users who can’t be identified and never get to see the warnings in question. It’s clear that containing the Game of Thrones leaks is important for HBO, but the DMCA notices themselves are nothing new. The company has been sending these out for various shows over the years, they just never got much attention.